Can you imagine coming to a country to marry a man, make a life in the wilds of state you had never set eyes on AND not speaking a word of that country’s language? With no technological advantages. As so many of our ancestors, Serina Knutson did just that. From Norway to the middle of North Dakota. Outside of the frigid weather, these two places couldn’t be more different. It is no surprise that the foods she grew up with brought comfort and a sense of place. As did the customs. One of Grandma Knutson’s customs was coffee time. Maybe we can learn a little something about building community from this beautiful daily ritual. 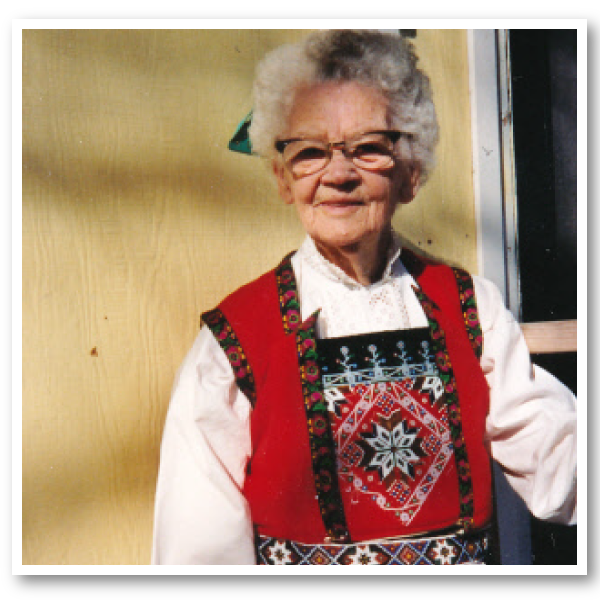 Listen as her granddaughter, Carole, recalls memories of Jule Kake – Christmas Bread for those of us who don’t speak Norwegian; a coffee ritual I personally wish we would all embrace; and the fortitude of a strong Norwegian woman. PS Grandma Knutson lived to be over 100 years old! Coffee time, perhaps? Grandma Knutson in tradition dress and the handwritten recipe for Jule Kake. 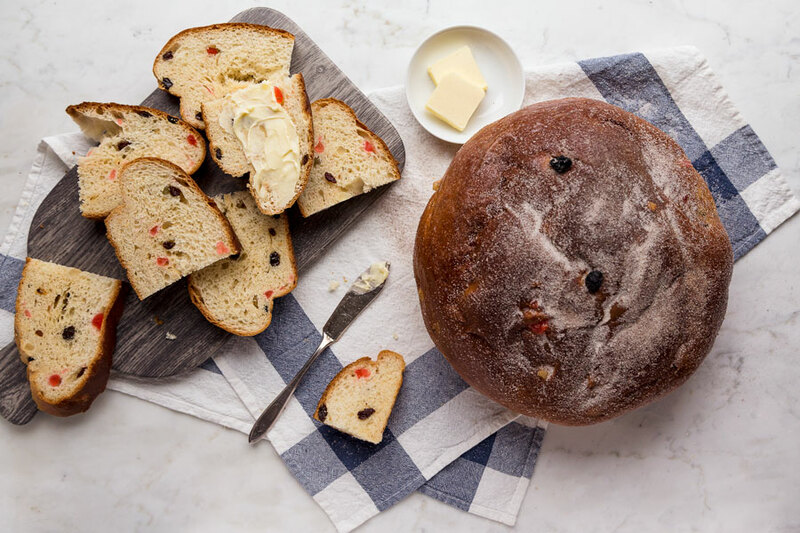 Jule Kake (Christmas Bread) a sweet, rich bread spiked with citron, candied cherries and sweet raisins adorns many a Scandinavian Christmas table. This recipe has been passed down through four generations of the loveliest ladies I have had the pleasure of knowing. In a medium bowl dissolve yeast in water, set aside. Place butter, sugar and salt in large working bowl. Pour scalded milk over and allow to cool to lukewarm. Add yeast and 4 cups flour, beat well. Add eggs, mixing to combine. Add citron, cherries, raisins and cardamom and enough of the remaining flour to create a soft dough. Knead and place in a greased bowl. Let rise until doubled. Knead again. Place in greased pie pans (2) + 1 small loaf pan. Let rise again until doubled. Bake at 350˚ F for 35 - 40 minutes. 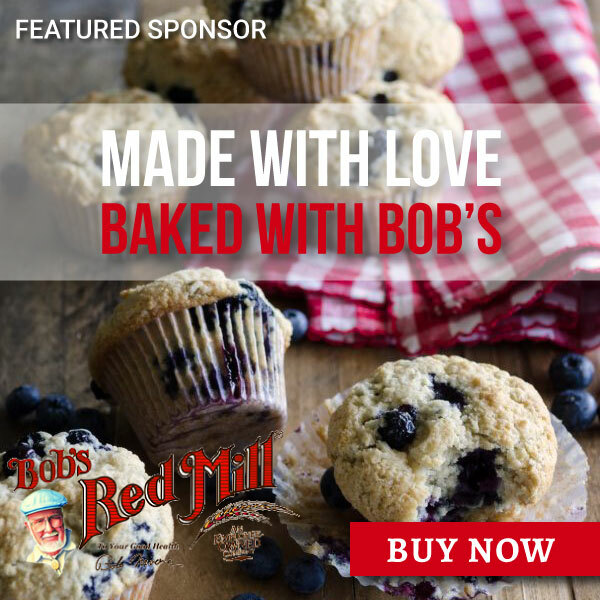 Brush with melted butter and sprinkle with cinnamon and sugar while still warm. Yields 3 loaves. This is Carole, my Very-First-Best-Friend’s mother. Her daughter and I grew up in a little town in Montana riding our bikes everywhere, swimming at the pool in the summer, and playing at each other’s houses endlessly. Carole was my second mother. There was not a day in my early growing up years that I did not see her at least 3 times a day. She is one of the best pie makers I know. What a sweet story. 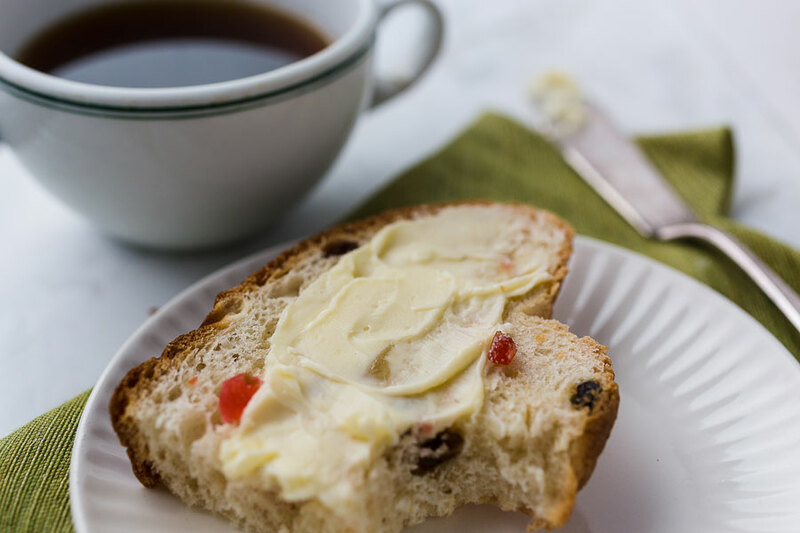 I love this tradition of a 3pm for coffee time with baked goods, butter, and cheese. Grandma Knutson had it right. Beautiful video! What a beautiful story. And what a strong woman! I love the 3pm coffee time. Yes to the cheese and to the Christmas bread! One of the hardest parts of the storytelling process is the parts that have to be cut. I wish that I could include all of my conversations with contributors. 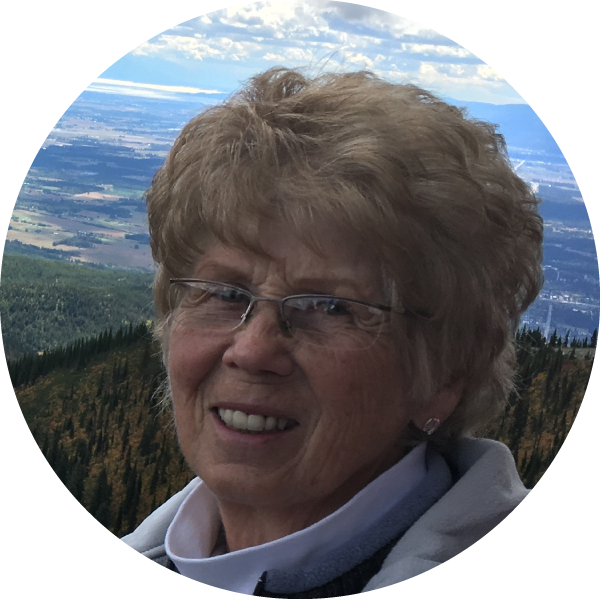 One of the stories that Carole told about Grandma Knutson was about how she would row herself from the age of 6 to school in Norway. She really was a very strong woman. 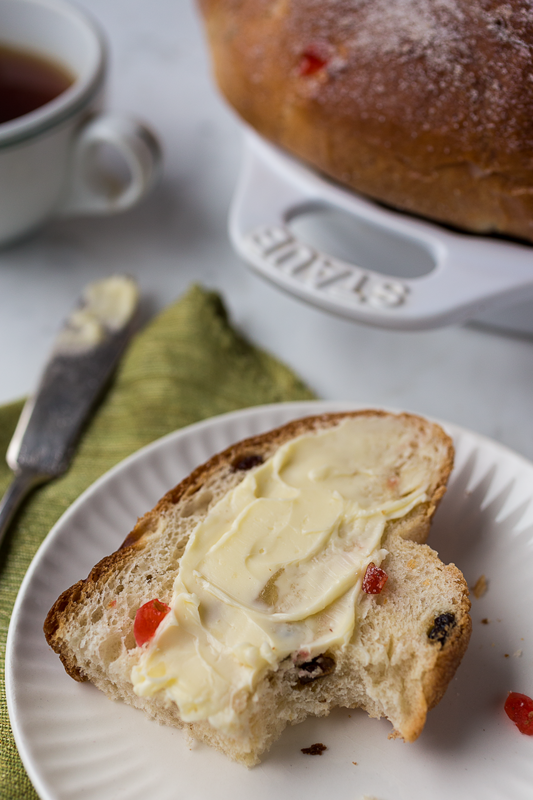 You can’t go wrong with cheese and Christmas Bread.